Man, I miss this Hawkeye. This is a lot better than I expected it to be. Definitely appreciating these posts. I forget, was this the Zemo that was like a brother to Cap in Secret Empire? Whoof, that's a filter to look at this with I hadn't thought of. You're dead on, this is the same Zemo. 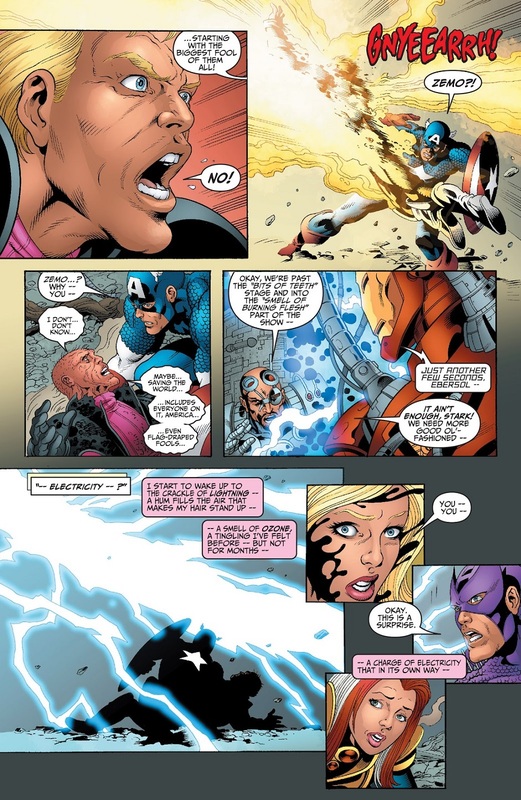 He was on a more 'for the greater good' bent here, and that lasted until Brubaker's Cap run. 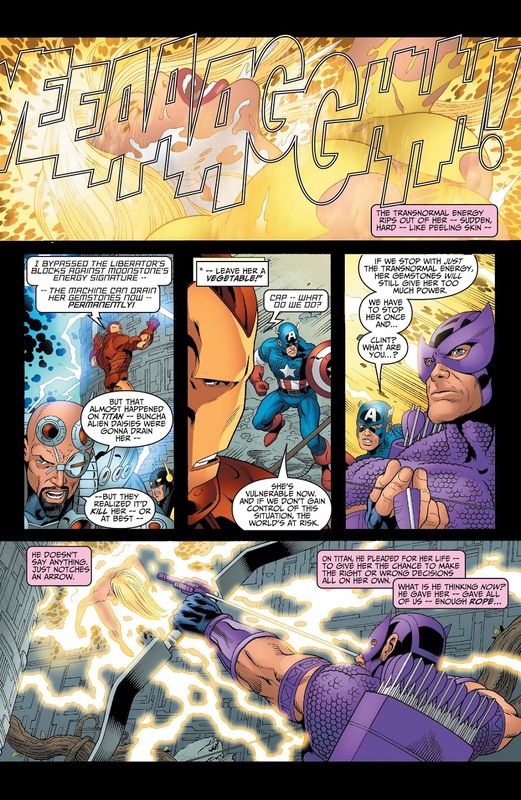 The one thing I didn't like about his run was that it quashed over a decade of character work on Zemo and set him back to more or less 'random Cap villain'. ....who's the Floronic Man twin on the cover?? A revamped Plantman. He disappeared for about a decade after this mini - probably because Black Tom already has the "sinister mutated plantman" niche pretty well covered. Yeah but I don't think Tom ever gave himself a powerup by "drinking" a water-based villain. Again, I liked his character arc from villain to anti-hero. Although yeah, he really does come off as a Floronic Man wannabe. It doesn't help that he also has a history of creating duplicates who sometimes think they -are- him, like the one who became Terramancer and joined the Force of Nature way back in the day. 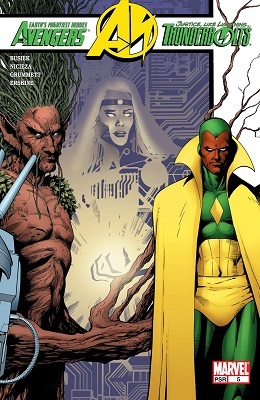 It's regrettable that so many characters experienced some kind of growth during their stint as Thunderbolts, only to lose it the next time someone said "hey, I want to use Mister Hyde and ignore everything done with him in the past decade." 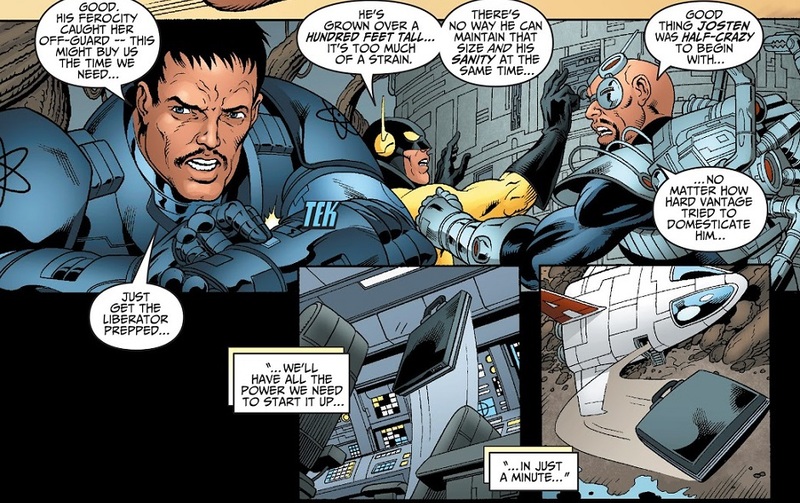 I remember the New Warriors issue where Vance Astrovik (Just before becoming Justice) helps quell a prison riot between an over-strict Governor and his guards,and a sort-of-rightly-pissed-off group of prisoners, by getting everyone on both sides to talk, and one of the bones on contention had been Terramancer wanting a pot-plant (as in a plant IN a pot, not ACTUAL pot) because he needed to be able to commune with SOMETHING botanical or he became ill, and the guards not giving it to him because they were worried he'd use it to escape... which refreshingly, he doesn't. Jolt! I loved Jolt, another fun teenage character who Marvel didn't know what to do with. 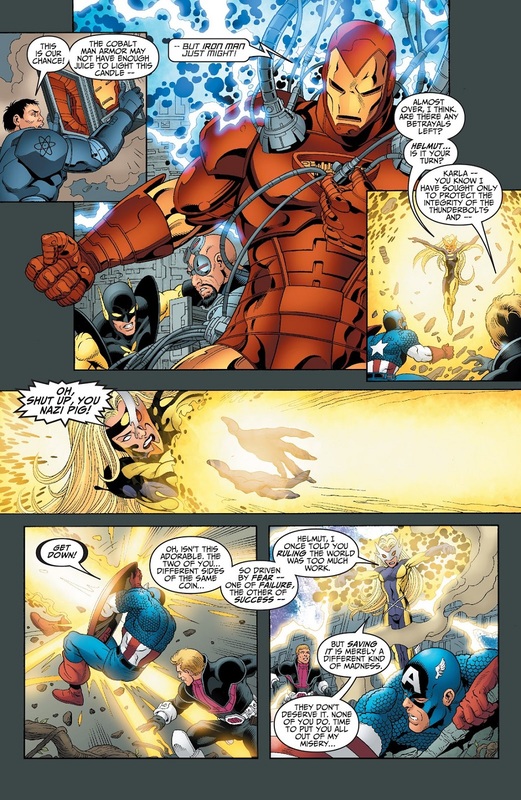 I also love/hate that scene with Moonstone literally begging Clint not to destroy her mind, her absolutely most powerful weapon. 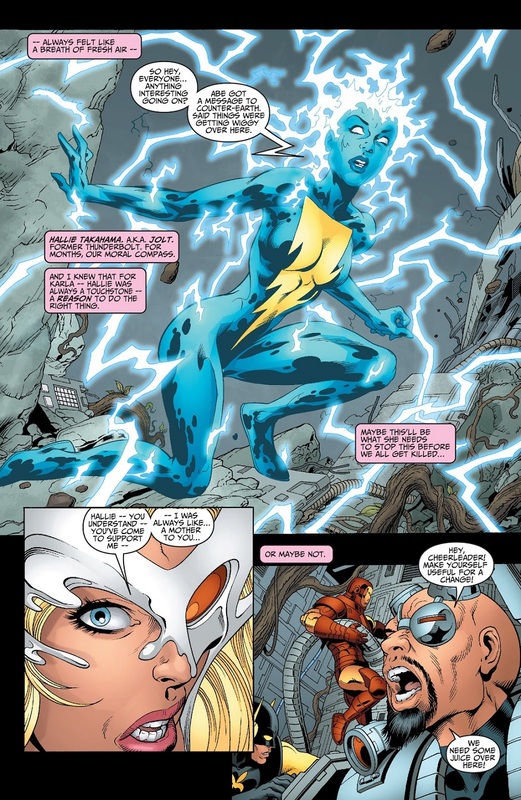 Karla was unscrupulous, and ruthless, and manipulative as hell and that made her dangerous with or without the Moonstone powers, but I miss her as a character in the MU. 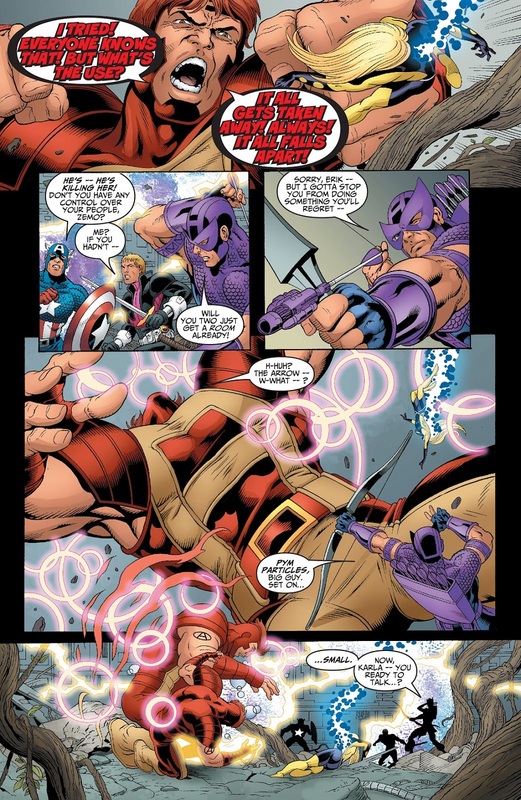 Yeah, it really makes what Zemo does to her later so much worse.